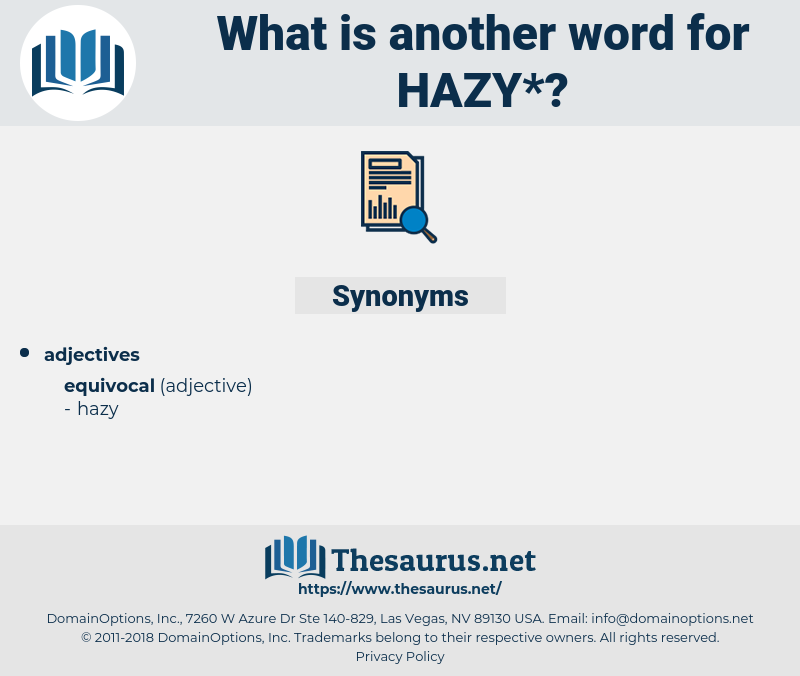 What is another word for hazy? Covered or shrouded with light vapour; misty. unclear, obscure, blurry, ill-defined, ambiguous, opaque, woolly, uncertain, diffuse. exact, settled, resolved, confirmed, unquestionable, decided. 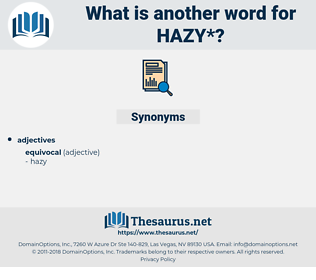 clear, definite, sunny, sure, certain, unconfused, Explained, Uncloudy, unhazy, distinct. dazzling, shiny, illuminated, radiant, sunlit, firm, lit, illumined, brilliant. For a moment Lilian's eyes grew hazy, and she looked away from him. Here, during the warm, hazy days of Indian summer Molly loved to walk.